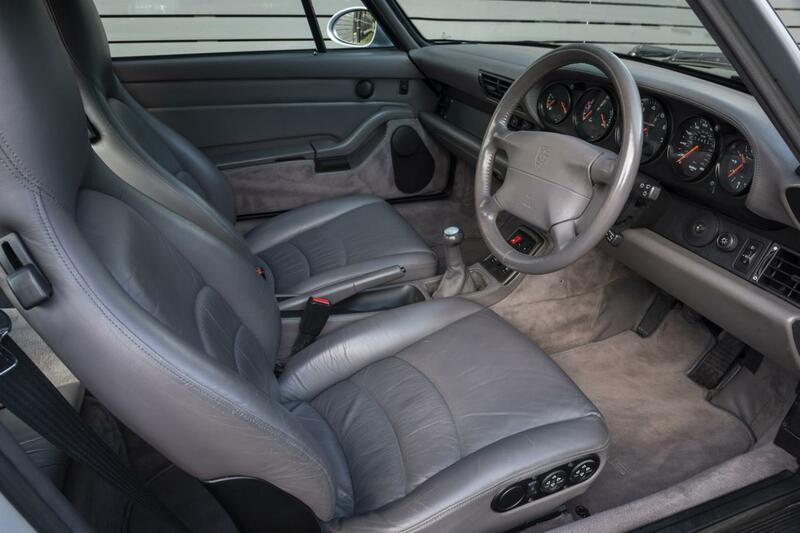 FACTORY SPECIFICATIONS INCLUDE :- 6 SPEED GEARBOX, HEATED ELECTRICALLY -ADJUSTABLE SOFT RUFFLED LEATHER SEATS, LEATHER STEERING WHEEL, ELECTRIC SUNROOF, AIR CONDITIONING, CRUISE CONTROL, ELECTRIC WINDOWS, ELECTRIC ADJUSTABLE MIRRORS, TOP TINTED WINDSCREEN, REAR WIPER, 18” TURBO TECHNOLOGY ALLOYS. 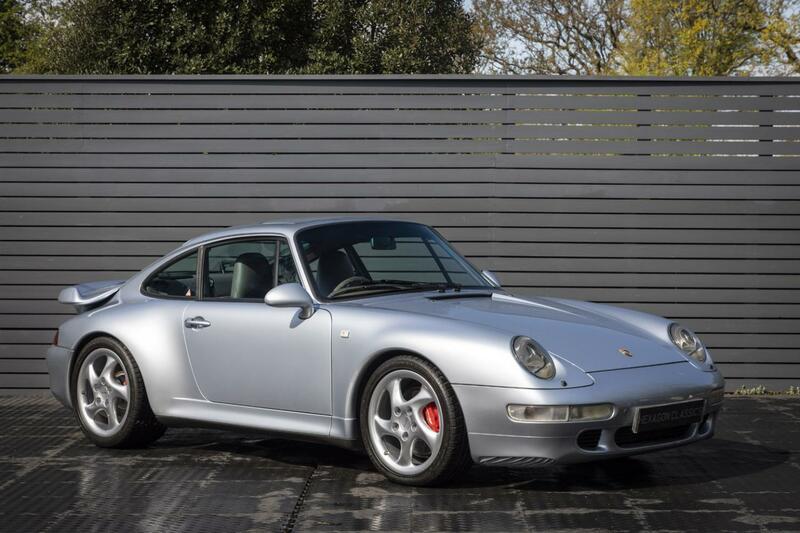 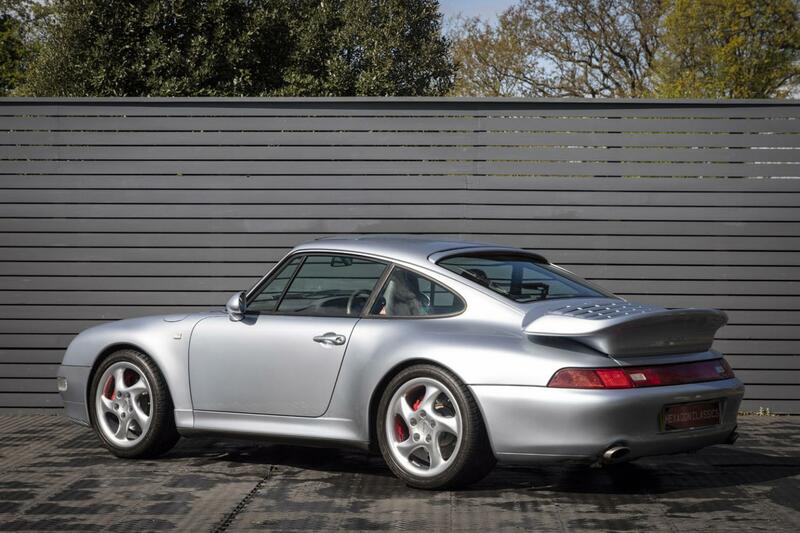 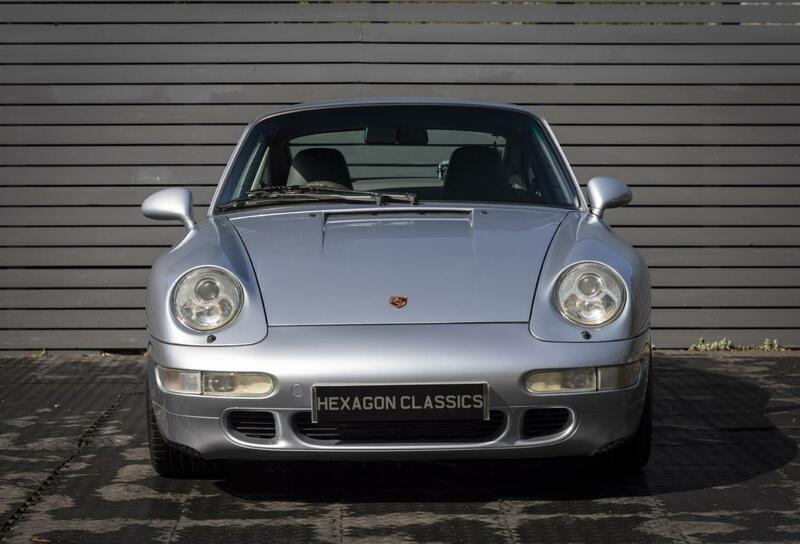 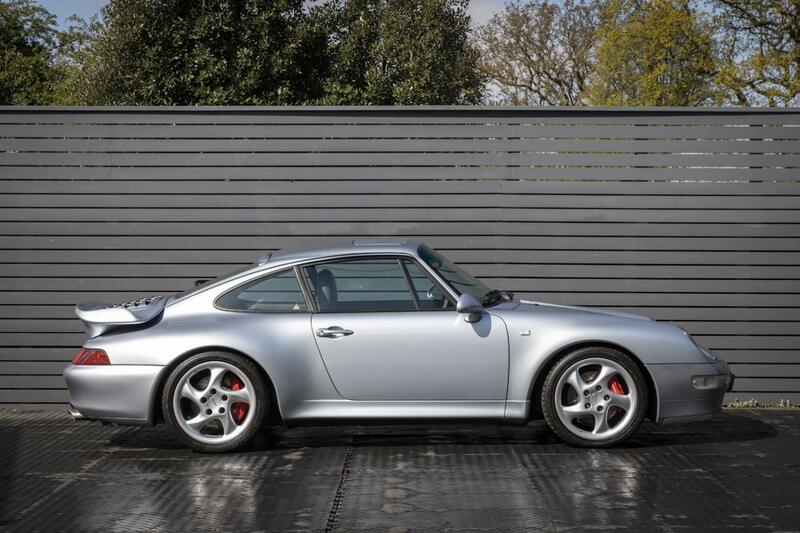 Hexagon Classics are delighted to offer this wonderful Porsche 911 Turbo, presented in what is arguably the very best colour for this model, Polar Silver metallic. 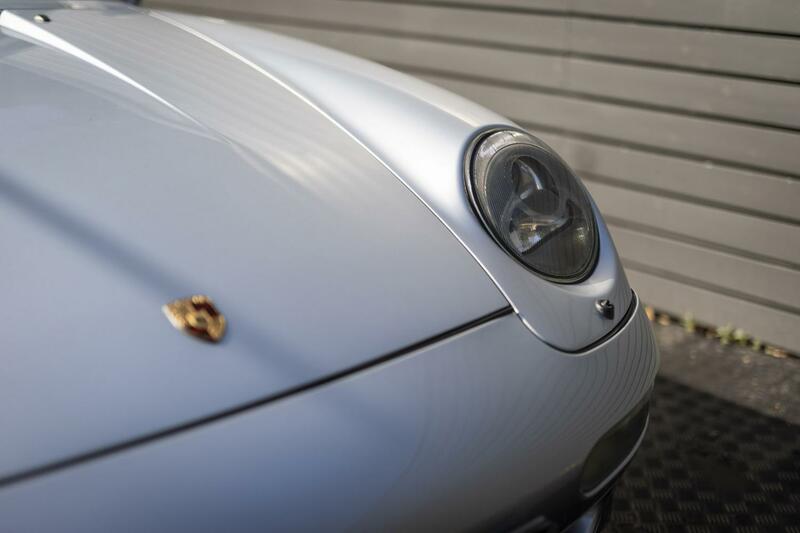 The 911 has captivated drivers for over 50 years. 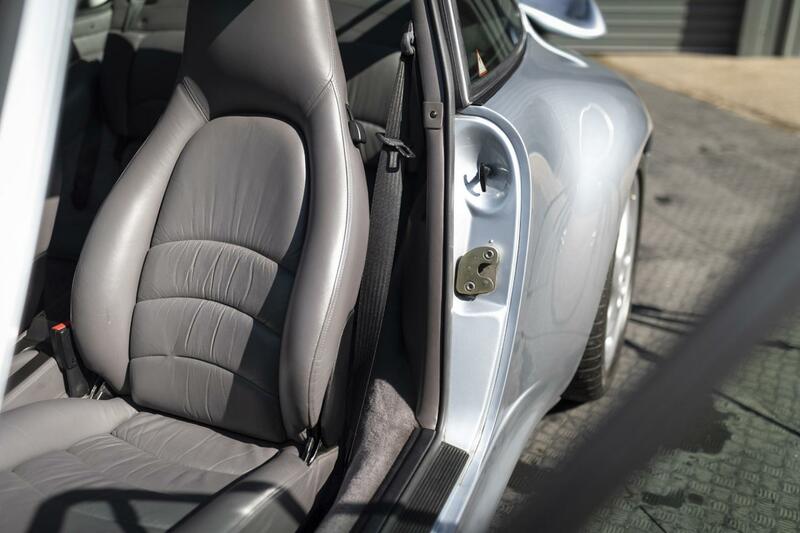 The 911 is a true sports car, which means that it produces peak performance in any driving situation. 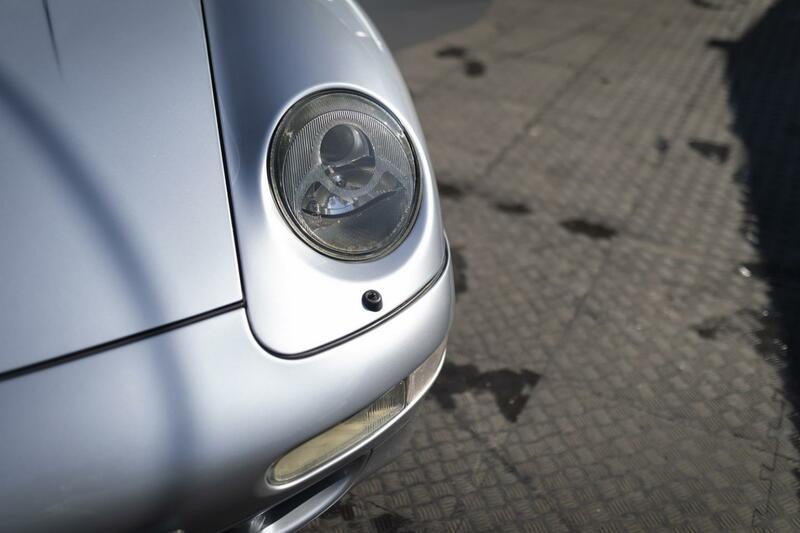 Not simply speed, but agility and handling, pure driving pleasure and exhilaration. 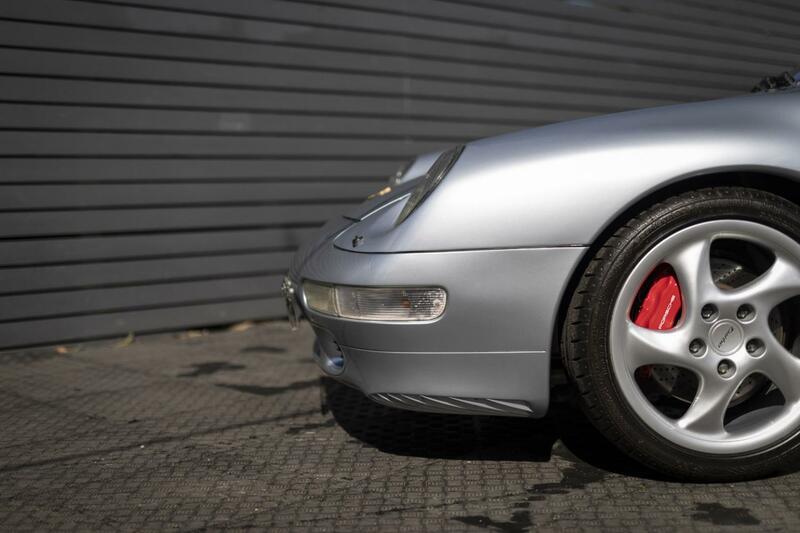 The 911 Turbo’s all-wheel drive system uses a viscous coupling to vary the power flow depending on the road surface and driving conditions. 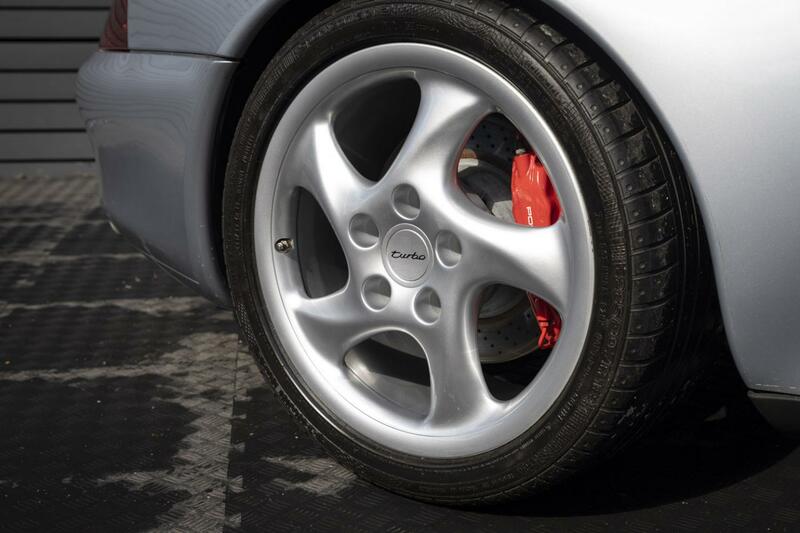 Power to the front wheels is varied from 5% to 35% in normal driving conditions, (up to a maximum of 40% if required) ensuring maximum grip and handling. 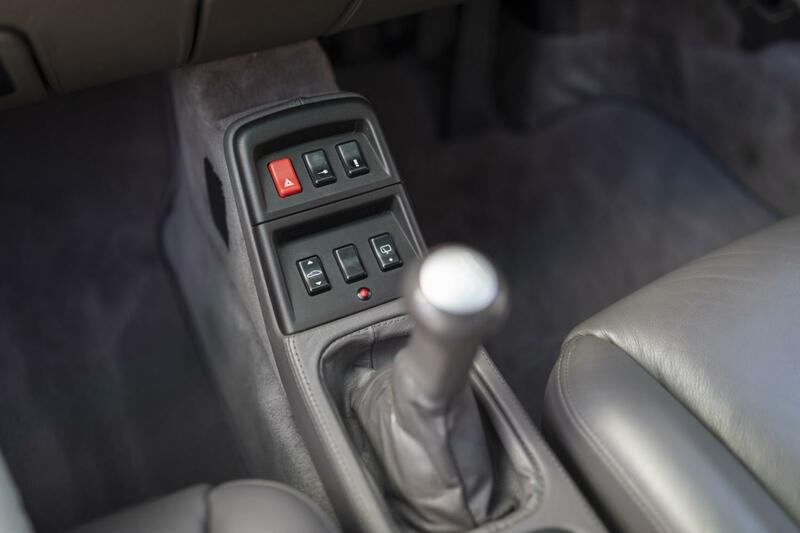 The electronic limited slip differential provides further traction at speeds below 40 mph, to adapt to any tyre adhesion loss on wet or icy road surfaces. 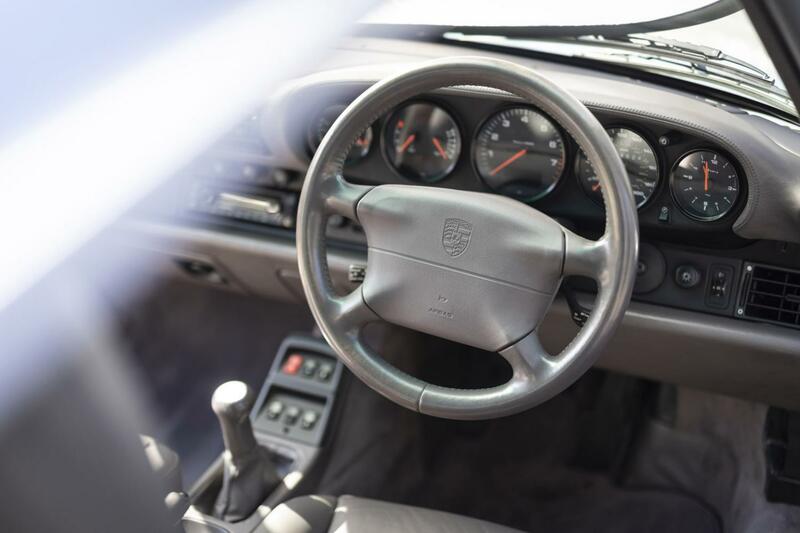 The 408 hp produced by the 911 Turbo, combined with the four-wheel drive package guarantees safe use of the car’s performance when you really need it. 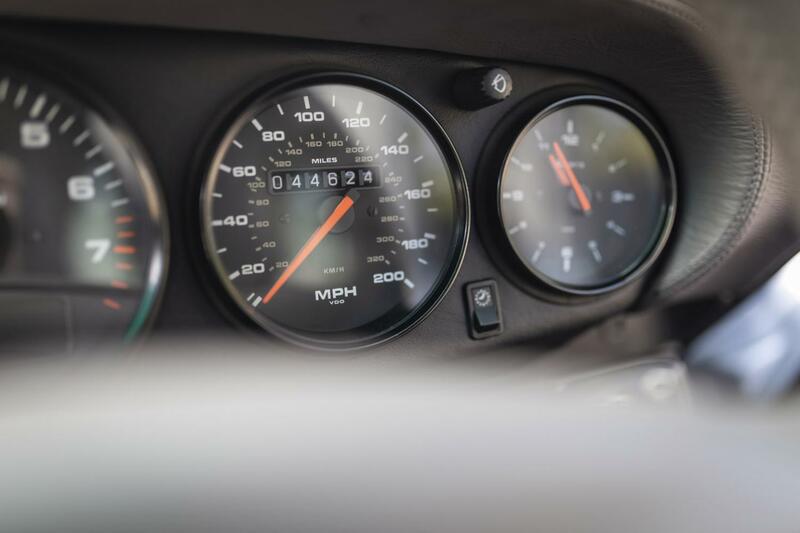 The Porsche engineers were particularly proud of its power-to-weight ratio of approximately 5.0 kg/kW, and of its staggering 540 Nm of maximum torque at 4,500 rpm. 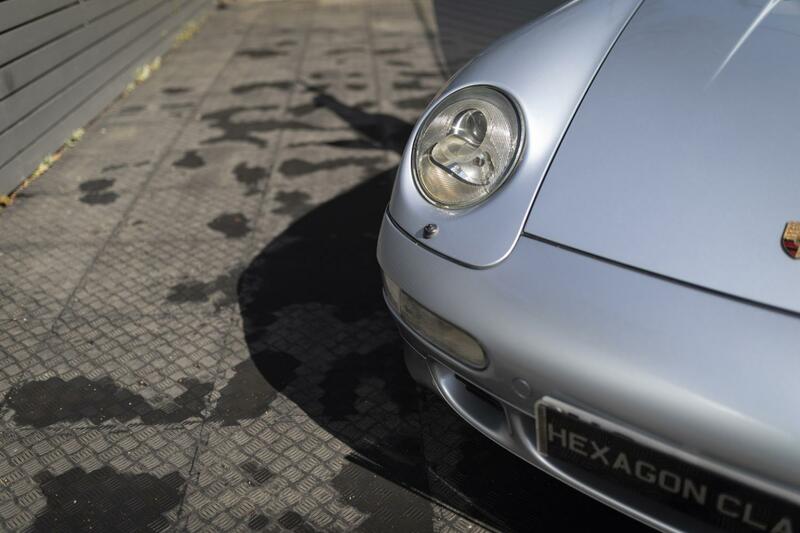 Acceleration is stunning, from 0 – 100 km/h in 4.5 secs flat, and it stops from 200 km/h to standstill in the same time. 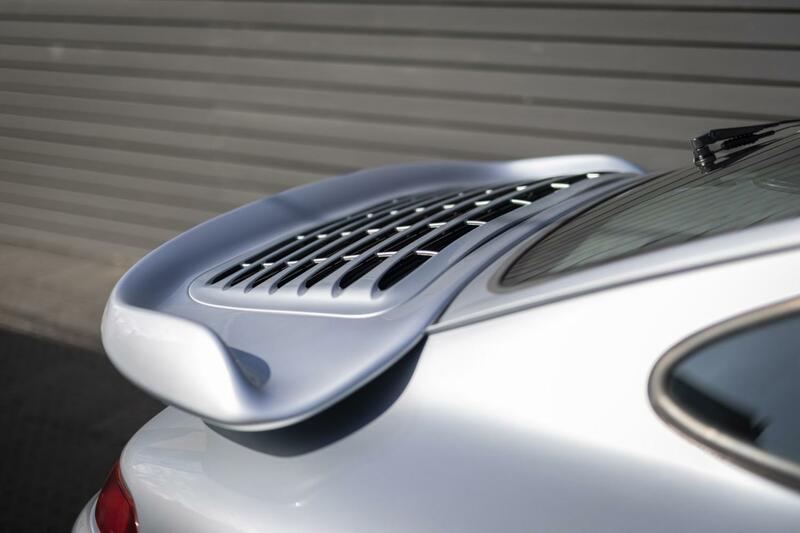 The 911 Turbo has reduced ground clearance, and a fixed rear spoiler with an additional lip to ensure optimum air flow over the car. 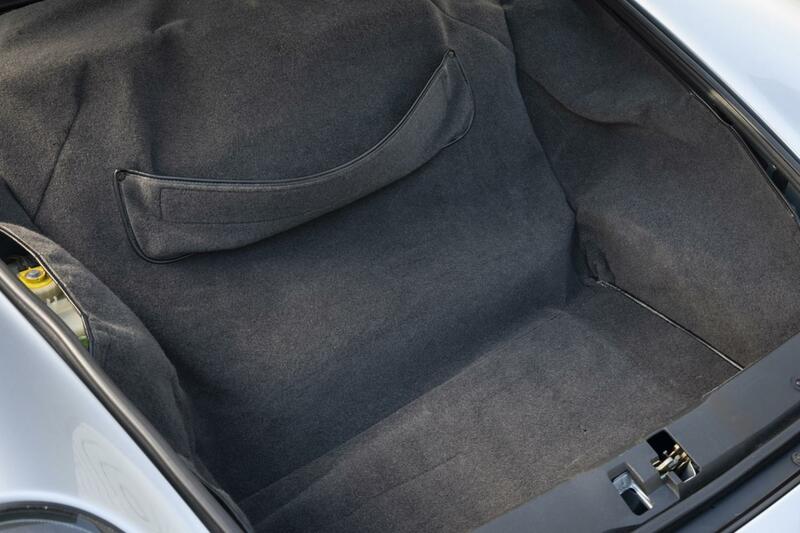 To the driver, this attention to correct design delivers outstanding road holding. 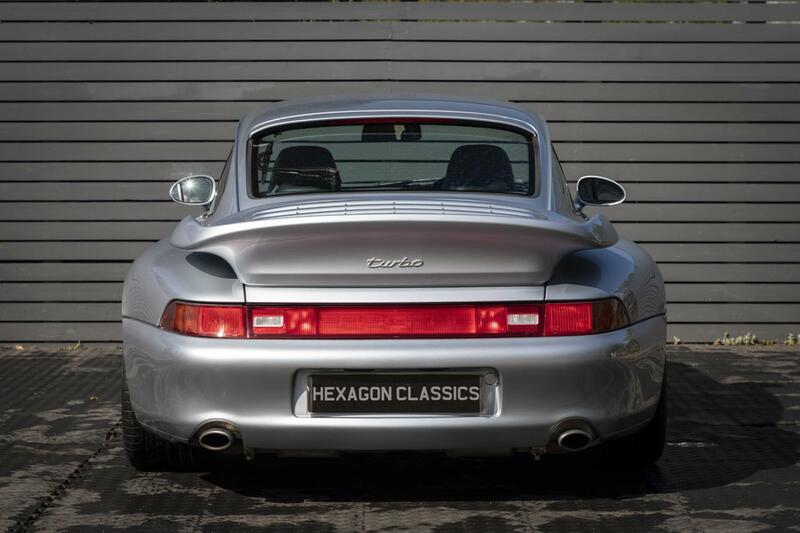 Originally supplied by Parker & Parker Porsche, Kendal on 1st August 1995, this highly original Turbo is presented in truly excellent condition. 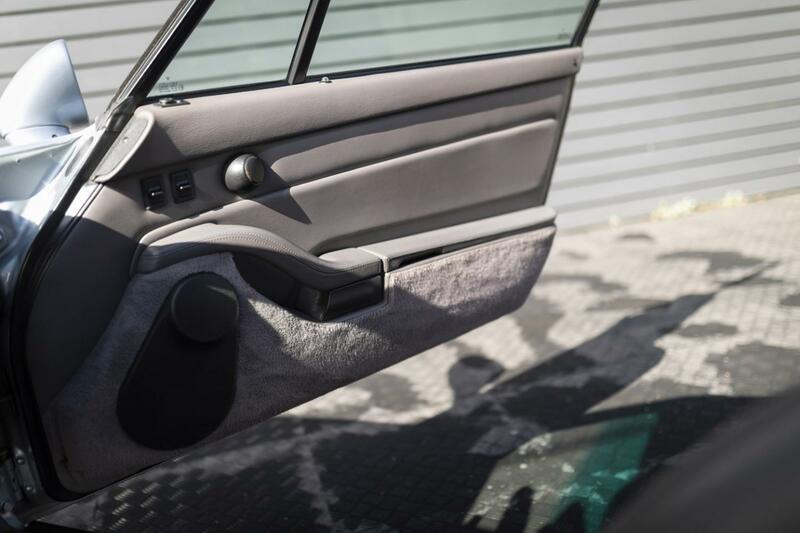 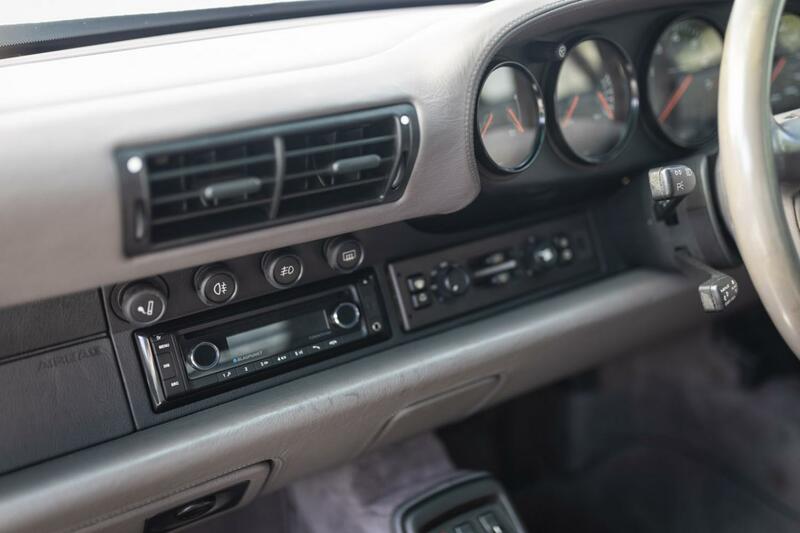 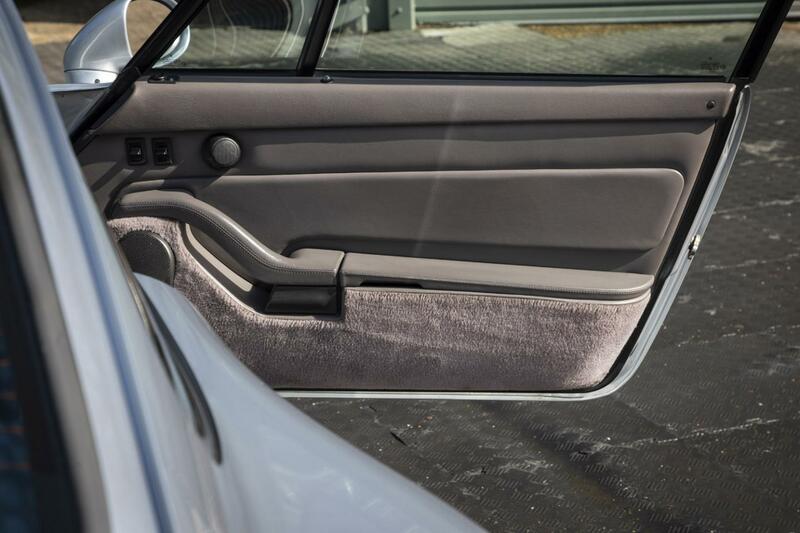 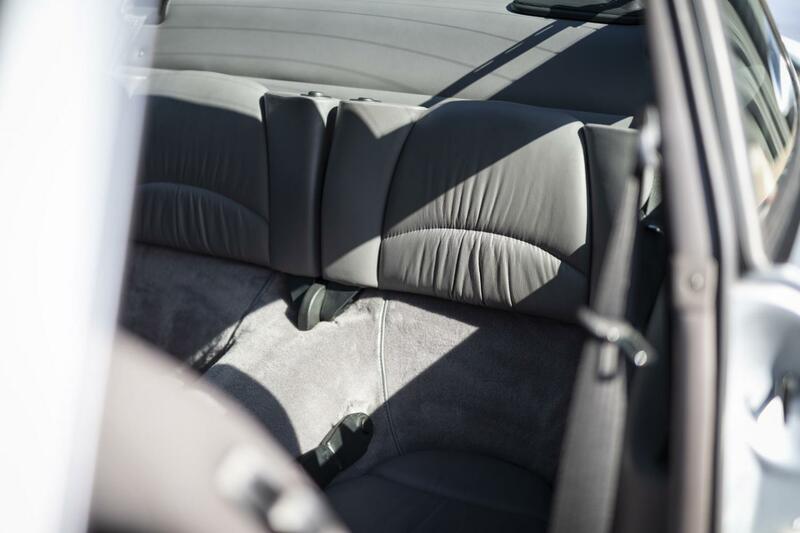 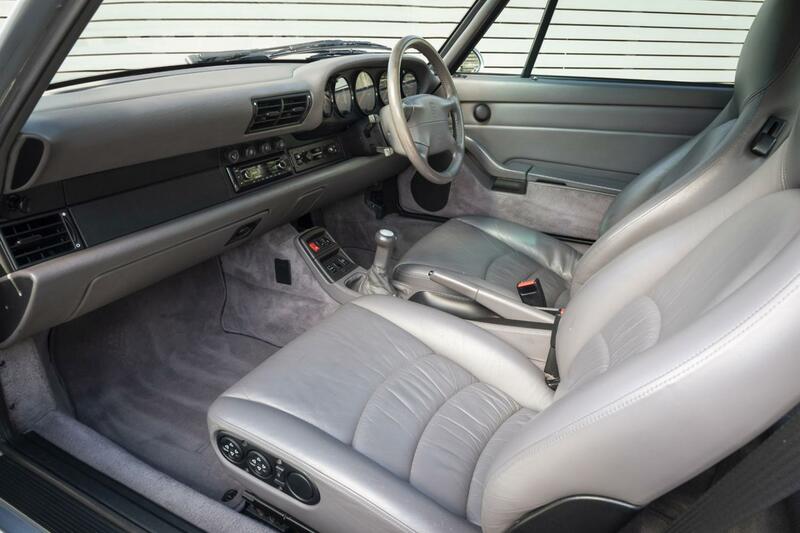 It also benefits from a recent major service and refresh and it retains its original leather service book pack (16 service stamps), spare keys, Porsche Certificate of Authenticity, and a full history file complete with historic MOT’s and invoices. 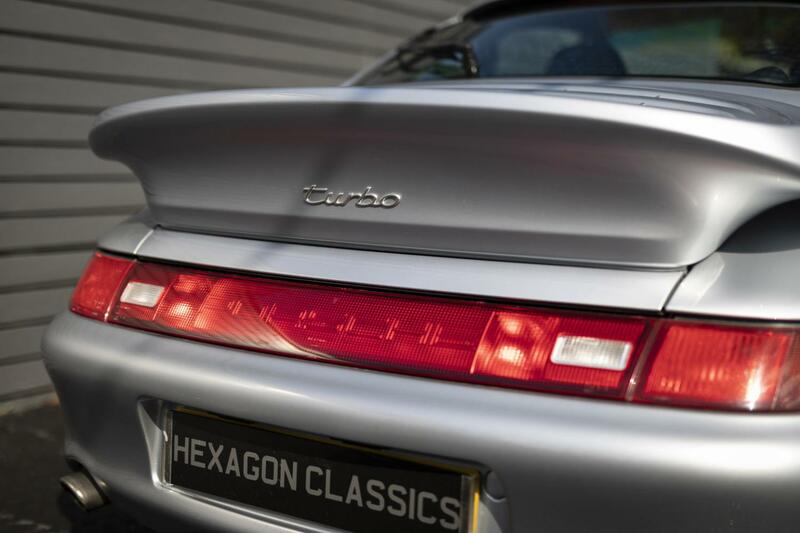 Available to view now at our London showrooms.